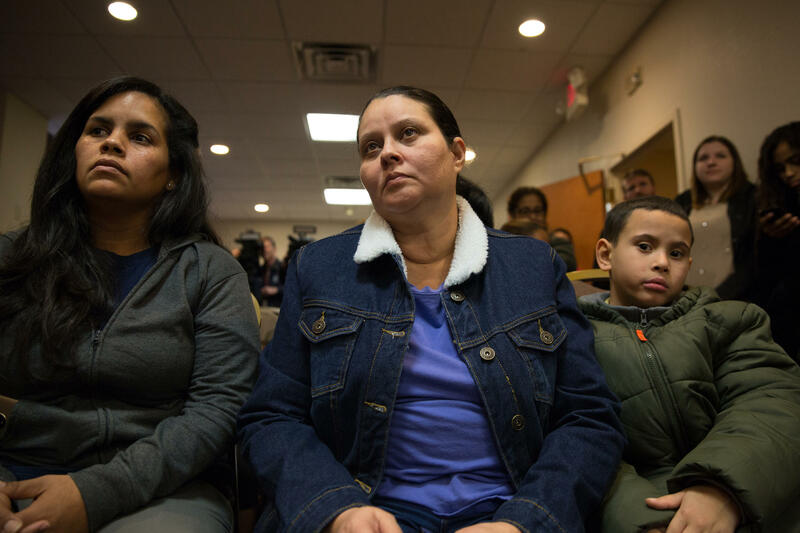 Hurricane evacuees Yara Vasquez (left) and Wanda Ortiz (center) watch a press conference at the hotel they've been living in with their families under a FEMA program on January 19, 2018. The Federal Emergency Management Agency says that two dozen Puerto Rican families who relocated Hartford will no longer be eligible for housing assistance on Monday because inspections showed little or no damage to their homes in Puerto Rico. On a conference call on Sunday, Connecticut Senator Richard Blumenthal said FEMA told him there is electricity, safe water, and minimal structural damage in all of those 24 homes. But Blumenthal said he’s heard different accounts from some of the hurricane evacuees living in the hotel, so he’s pressing the agency to show him the inspection reports. On Friday, several hurricane evacuees spoke at a press conference at the Red Roof Inn where dozens of families have been living under the FEMA program. 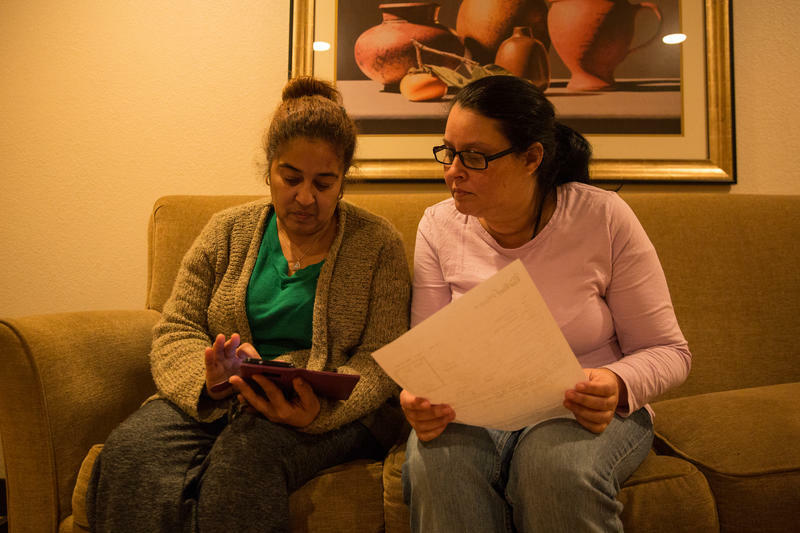 Yara Vasquez came to Hartford after losing her home to the hurricane. Speaking through a translator, she said her family has been living in a constant state of fear. The state of Connecticut will pay for the families to keep living in the hotel until February to give them time to make more permanent arrangements. The Federal Emergency Management Agency had previously said it would extend assistance till mid-February, but that offer was abruptly revoked last week. Copyright 2018 WNPR News. To see more, visit WNPR News. Only days after the Federal Emergency Management Agency said it would pay for dozens of hurricane evacuees to stay in a Harford hotel until mid-February, state officials were told by FEMA on Thursday there had been an error, and that several of the families had to vacate their temporary housing.